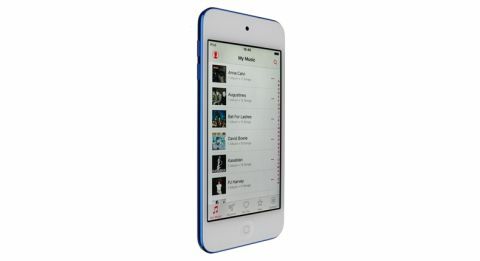 Apple iPod Touch (6th gen) 128GB review | What Hi-Fi? There’s still life in the iPod Touch yet. Just when you thought it might be swept under the carpet to join the discontinued iPod Classic, up pops another generation, this time the sixth. While new iPhones appear annually, it has been three years since the five-star fifth-gen model made its debut. Unlike the latest Nano and Shuffle music players it’s been released alongside, the new model has been treated to more than just new colours. Where to start? Well, as it’s first and foremost a media player, storage seems as good a place as any – especially when it’s one of the Touch’s biggest talking points. The sixth gen is the first to have a 128GB version (only available directly through Apple), so it can store more music and video files than ever before, helping to fill the void left by the death of the 160GB iPod Classic. Of course, there are lesser-equipped – and consequently more wallet-friendly – versions too: 64GB (£250), 32GB (£200) and 16GB (£160). It moves closer to iPhone in many respects. A similar gold finish to the iPhone 6S joins the existing space grey, silver, pink, blue and red colours, which come in different (and in our minds, more mature) shades to the fifth gen’s vivid ones. More crucially, it features the latest version of Apple’s operating system: iOS9. And also uses the A8 processor featured in the iPhone 6 for ‘10x times faster graphics performance’ and the Motion M8 motion processor to help with fitness tracking. Continuing the if-it-ain’t-broke idiom, the Touch keeps its lovely elegant, streamlined design and thin pocket-sized build. The single piece of anodized aluminium chassis is the same size (123 x 59 x 6.1mm) and weight (88g). The only noticeable difference is the absence of a Loop button found on the bottom corner of the fifth gen’s backside, which could be used to attach a wristband. If you haven’t already guessed, that means the gorgeous retina display remains a modest 4in, sticking with the same 1136 x 640 resolution and 326ppi. A move to a bigger screen wouldn’t have surprised us – after all, phones and tablets are getting bigger by the day. But we imagine most people will have this as an additional device and who wants to have both pockets splitting at the seams? We think it’s a sensible call. The claimed battery life is, again, 40 hours of music playback, eight hours of videos. We clock up the hours over the course of four days and are still left with 15 per cent of juice remaining. Thanks to the upgraded processor, everything feels speedier and a millisecond step ahead of the fifth-gen. Apps load without a moment’s hesitation and whether you’re opening iTunes Store or launching a webpage it beats its predecessor to the finish line. Go into photos or iCloud and it almost seems in a hurry to bring up your holiday snaps. Speaking of which, happy snappers will be pleased to hear the rear camera is now eight megapixels (up from 5MP), and also brings aboard the iPhone’s new 120fps slow-mo recording mode to join time lapse, burst and panorama features. Those extra three megapixels speak volumes. Snaps are sharper – photos taken on the fifth gen look relatively soft in comparison – and more detailed too. It picks up stitching in clothes and writing on far-off walls is readable. Although spec-wise the front-facing FaceTime HD camera stays the same (at 1.2MP, 720p video recording), Apple claims face detection is now faster and more accurate. Although screen size might not satisfy all gaming and TV-watching appetites, we’re huge fans of the gorgeous high-contrast picture, which basks in bright, popping colours, inky blacks and pure whites. It’s not a huge step-up from the fifth-gen – put them side-by-side and you’ll see there’s not an awful lot in it at all – but it’s a touch crisper, and there’s a slightly greater sense depth. On web pages, edges of text are a bit more precise. It’s a similar story of sound quality. The character is much the same – clear, balanced and vocally rich with plenty of rhythmic attack and enthusiasm – just with extra measures of crispness and clarity. Notes are tighter and whether it’s the nicely textured acoustic strumming in Latch Key Kid’s Good Times or the drum beats and cymbal taps in Suede’s Hit Me, instruments sound more confident and direct. Things seem that much more clinical, too, as if the presentation has had a spring clean to get rid of any slight colouration or muddiness. The Touch carries Brett Anderson’s nasally-tinged vocals with all its moody and melodic disposition intact, soaring as he soars and capturing his dynamic inflections admirably. Highs twinkle and bite their way through cymbal bashings, and bass guitars sound deep and agile throughout. If your interest in the iPod begins and ends with music playback, you should know that a dedicated portable music player like the pricier Astell & Kern AK Jr (£400) is a fair bit better in terms of dynamics and detail, giving the odd, scattered percussive instruments in the WALL-E theme song a more spacious, larger-scale canvas to play on. It has high-res too – sadly but not surprisingly, something the Touch leaves on the shelf once more. Apple's distinct EarPods introduced with the fifth-gen come boxed and are a worthy upgrade over the older in-ears, but forking out £50 for the Soundmagic E50S or, if you prefer on-ears, the AKG Y50s will pay off in spades. Is sixth time a charm? Quite. With specs more and more in-line with the latest iPhone, the iPod Touch is more of an alternative than ever before for those that don’t need cellular reception – happy just sending Apple-to-Apple texts and video calls over wifi with iMessage or Facetime. Whether fifth-gen users should upgrade or not depends on whether they crave 128GB’s worth of more storage or a leg-up in sound and camera quality. Even if the iPod Touch’s future is unclear as iPod sales dwindle and the popularity of tablets increase, there’s no denying this pocket-sized joy still has a ‘here and now’, and we’re pleased it does.